 Find and securely connect to millions of Wi-Fi hotspots around the world. It’s beautifully simple and surprisingly fun. Quickly find local hotspots quickly using Map View. When you’re close, just tilt your phone up to switch to AR view. Playing hide-and-seek with Wi-Fi is over. When you’re next to a hotspot, you’ll receive an instant prompt. No need to fill forms. World Wi-Fi takes care of it all. 2-clicks and you’re connected! Most open Wi-Fi hotspots are unprotected and this puts your data at risk. World Wi-Fi protects you with an enterprise-grade VPN*. Your data is now encrypted and privacy protected. * The App will not connect via VPN if prohibited by local laws. Find your way back online with lightweight offline maps before your travels. Finding Wi-Fi has never been this safe and easy. Download now.